Rice is a food steeped in tradition. While the correct origin of rice is in dispute, the particle most likely originated 6,000 years ago wherever in modern Thailand or Southeast China. Due to this long history, the same word means ‘rice’ and to eat in many languages and sacred holidays revolve around the cycle of planting, transplant, and harvesting. The early on development of rice farming is attributed to the Chinese. The grain was then dispersed via 3 Asian Routes and as it modified to different climates the Japonica, Indica, and Javanica variety were created. Around the 17th century, European exporters brought Asian rice from Malacca to be grown in Europe, Africa, and South and Central America. Rice farming extends to North America circa 1609 in Virginia, later growing to California, Florida, Arkansas, and Texas. Responding to the status of aromaticrice, researchers are furthering this adaptation by genetically modifying Jasmine and Basmati rice varieties for farming in the United States. 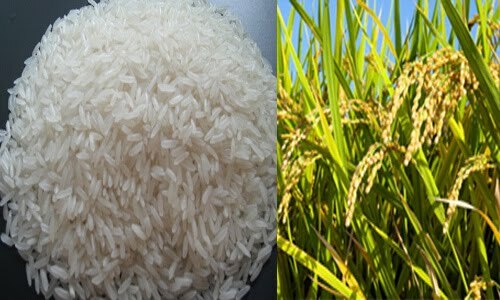 Today, rice is refined in a variety of ways, from the fully automatic techniques of the West, where rice is produced in a manner similar to wheat, to the less-capital rigorous methods of Asian regions, where rice is refined in rain fed paddies. Nevertheless, 4-5 of the world's rice is grown by small-scale farmers in low-income countries, with 90% coming from Asia. In many of these countries rice is the main single crop grown by the largest number of people. For example, in Vietnam it is grown by 2 out of every 3 households. Therefore, changes in rice prices affect a large section of the world's populace and rice policy decisions have political and historical consequences.